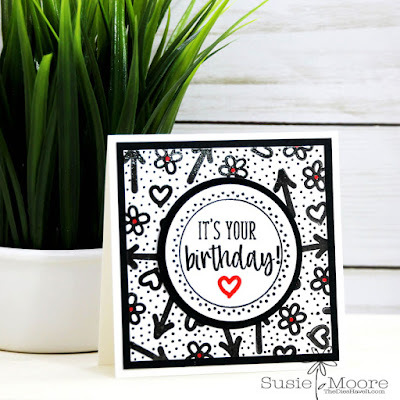 Yesterday I shared a black and white card with you and today I can't resist sharing yet another one. 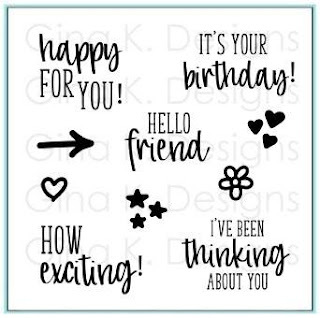 It is the Gina K. Designs current incentive set called Doodle Sayings which you will get free with a $75 purchase. If you are looking for an adorable little set with lots of great sentiments, I think this one might just be for you!